This year we only visited the York PA rookery a couple of times. We did manage a visit on June 11th. The Black Crowned Night Herons and the Great Egrets had some competition with a nearby Great Horned Owl nest. We were told that this year there were not as many nest because of the nearby owl. The Great Egrets seem to be doing well at this York, Pennsylvania rookery. Two Great Egrets chicks on the nest. Two Black Crowned Night Herons at or near their nest. 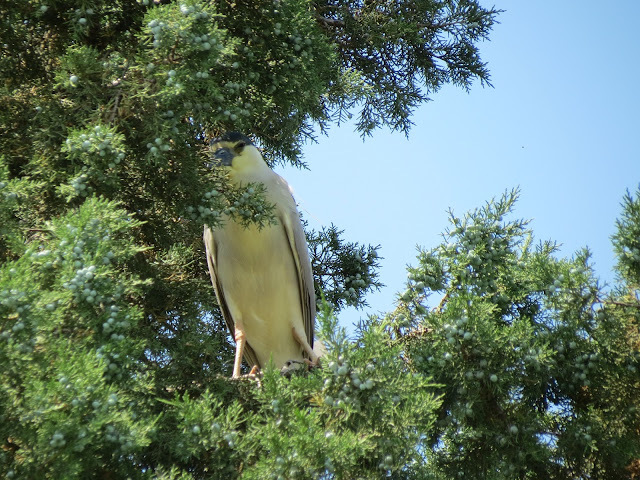 A Black Crowned Night Heron playing peek-a-boo. 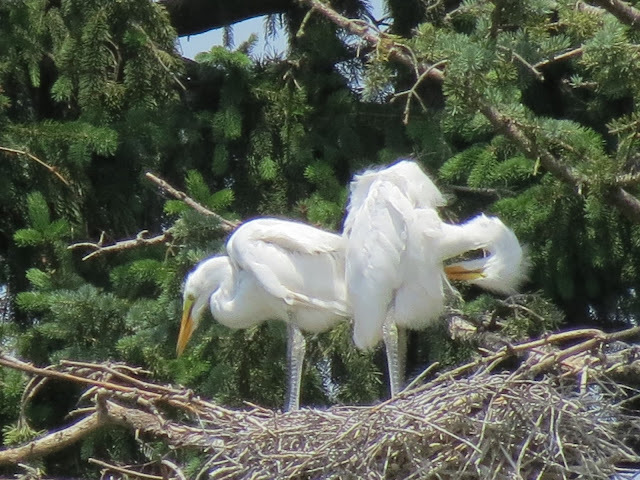 The Great Egrets chicks almost look like adults at this time. You can still see a little fuzz on their heads. Two Black Crowned Night Heron Chicks, one chick only has it's head showing on the right. 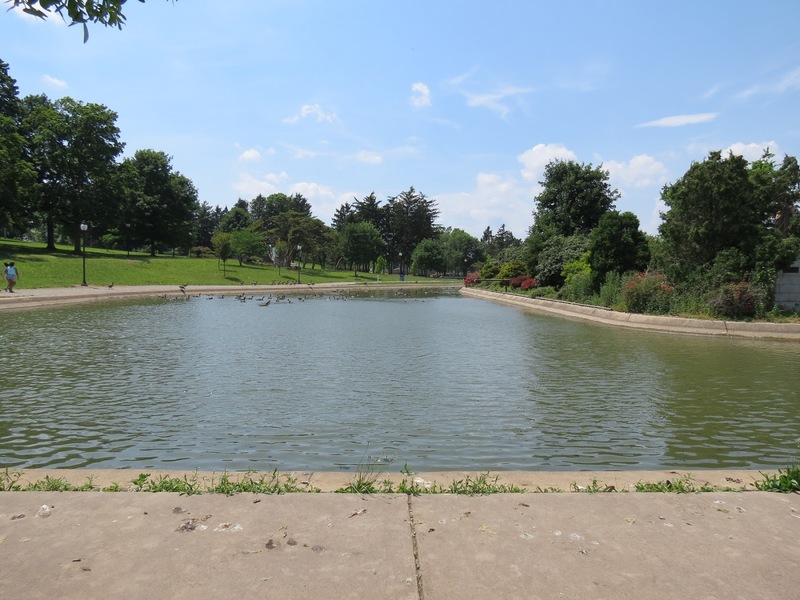 A view of park and lake, the trees around this lake hold the rookery. We also saw lots of Mallard, hybrid ducks and Canada Geese. 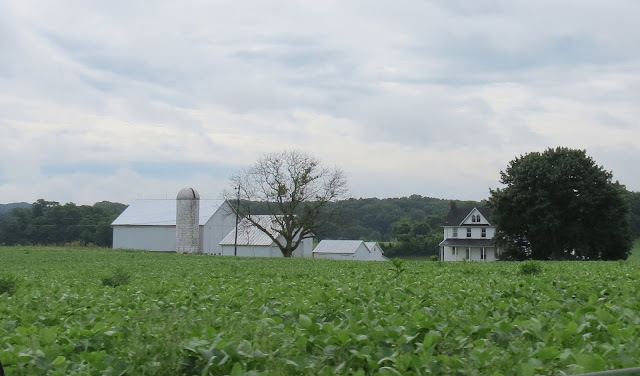 For Tom's Barn Collective, I have another local barn/farm in our neighborhood. I hope you enjoyed our visit to the rookery. Thank you for visiting and for the nice comments. As always, thanks to the wonderful group of hosts listed below. Here is a list of linky parties for part of the week, Sunday thru Wednesday. I hope to see you there. Thanks to the hosting team of Our World Tuesday! Very beautiful photos of the herons! They are so pretty. Happy Sunday, and enjoy your new week ahead! Hi Eileen. Super images of all the youngster activity at the rookery, especially the Night Herons. Amazing to see that they all nest so close to human habitation. Excelente trabalho e belas fotografias. Um abraço e bom fim de semana. Funny. I have a lot of fuzz on my face, but I'm no chick. Love the long necks and long legs on those chicks! So many wonderful birds, Eileen! Well, it certainly looks a great visit. Lovely photo's of the Egret's and Heron. I always enjoy walks around a lake or canal, always lots to see. Loved these pics . . . Thanks Eileen . . . The egrets are lovely!!! At the Alligator Farm in St Augustine, the egrets and spoonbills and various herons always set up nests above the waters in which the gators are housed!! We have stood on the docks just watching all the birds feeding and taking care of their young for several hours. There always seems to be drama in the different low hanging trees!! Lovey shots!! nice barn and how wonderful to see so many neat birds. White Egrets and white barns, how neat. Thanks for making The Barn Collective part of your week. Enjoy your upcoming week and I hope to see you back again. Those egrets look so clean and fluffy. Amazing to see that many Egrets in one place - you find the greatest birding sites. Love the farm too. Very beautiful images, wonderful post. Great photos of birds taken at York PA rookery! Have a beautiful day! I have always found egrets to be such magnificent birds :) these are great captures! Great pictures, never saw such beautiful white egrets. The photo of the two looking up with the long necks is my favorite, but honestly I love them all. Beautiful bird shots! Have a beautiful week! I'm not sure why, but every time I see an egret or heron in tree, they seem out of place. Great shots of them! WoW!!! eileen, awesome captures, they are all my favorites!!! and such a pretty barn, nuzzled in the landscape!! The egrets seem to be doing very well. Love the shot of two not-so-little ones from the nest. Impressive shots of the herons. Happy Herons indeed..Great picture of the chicks..Have a good week..
What a treat to see the those egrets up close, along with their chicks! They are beautiful birds, Eileen. 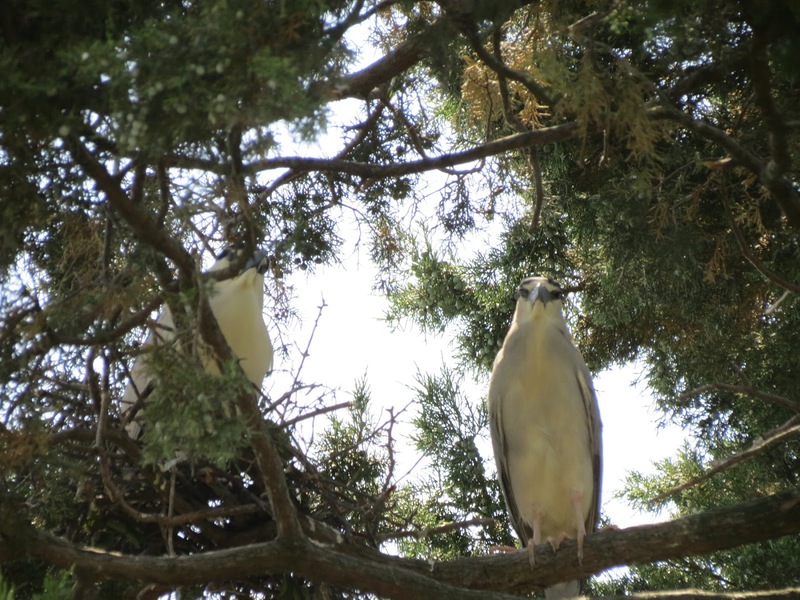 Wonderful shots - especially the Night Heron chicks, Eileen! How neat to see all those egret chicks and heron chicks! Must try to remember to go to a rookery next year! I haven't been out lately, too hot and 'ticky'! But I hope to get out when I go to Garrett County next week--lots cooler up there! Hugs! What awesome images! Lovely shots! Happy Monday! Thanks for stopping by my blog today! What beautiful pictures! The egrets and herons are very handsome birds. I like your shots of them, Eileen. Your nature shots are always wonderful ~ love the egrets and little ones too! Like the photos of the night heron as well as the egrets. 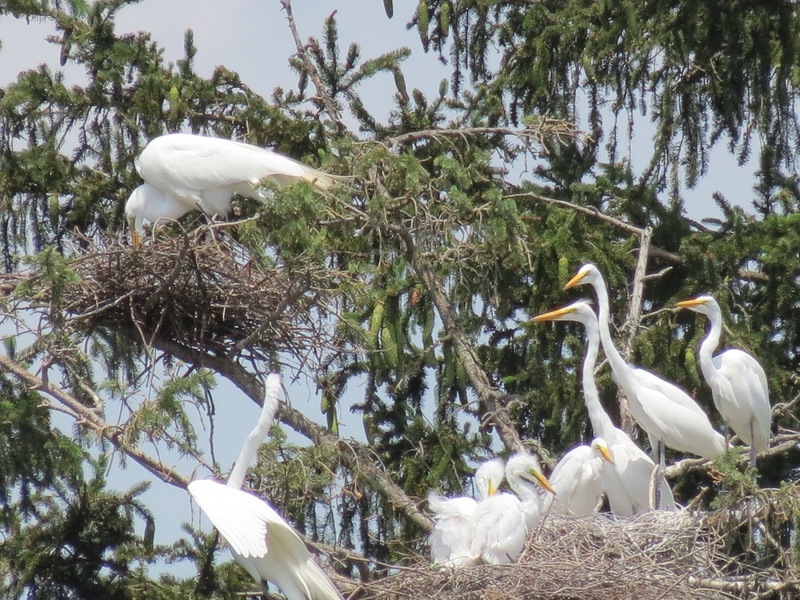 The nest of the Egret family is an awesome find, Eileen! Many thanks for sharing these views with SEASONS - such uplifting views - have a great week, and will see you back soon! 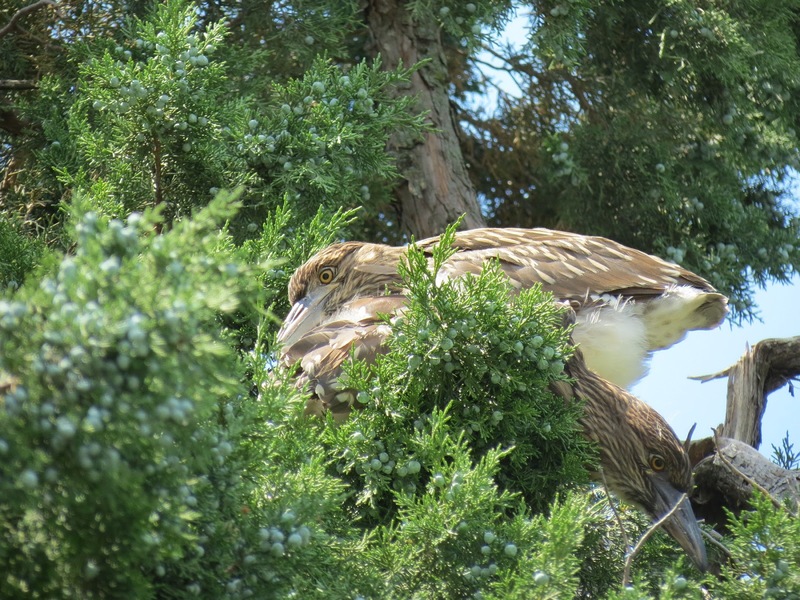 Great photos of the birds in the rookery. It's good to be able to get this close to the birds without disturbing them. Thanks for sharing. At the moment here, if you want to see an Egret, all you need to do is find where they are harvesting sugar cane. They are plenty, and they are so big! Lovely elegance. I did enjoy the rookery trip and I'm envious of your heron pics. I got one playing peek a boo high in the trees (I mean it was high up not sure about its recreational habits) and you can barely see it. Great job. What sights, Eileen! I love those egret chicks! Too cute! Wow! Fantastic shots! Especially of those 2 birds looking up. I learned about another beautiful bird here today - the black crowned night herons. Wow, so beautiful. I wonder if they are found here in Northern California. I've never been to rookery Eileen and it was interesting to look at the birds as heron. egret and others. Lovely Bird shots. I love the egret chicks and their fuzzy hairdo. Outstanding images .Interesting place of herons and egrets .. Cheers..
Hi Eileen - I just saw you comment on two blogs in a row that I was visiting and thought I would stop by to say hello. You have a lovely blog! And this was a wonderful visit to the rookery. Hi Eileen, thanks for your visit and comment. Thanks also for treating us to a visit to the rookery. The birds you show us are all so elegant. I know I'm like a broken record but I love the bird captures you get with your camera. The barn is great, too. My word there are a huge number of the Egrets. Good for them. Boa tarde, registos maravilhosos da sempre bela e única natureza. They are all beautiful but I love the Great Egrets! Thank you Eileen.....enjoy your evening. I love to find a rookery == and yours is wonderful. Great to see the different kinds of egrets and the one in the various stages. All those fabulous Great Egrets together. Brilliant pictures. We only get the odd one every now and then. Belas imagens que alegraram meu coração! não tenho participado do Critters pois não tenho imagens novas! Wow ! You've certainly captured some great images of the herons here Eileen - thanks for sharing. Happy week to you. This is so cool! I have never been to a bird rookery. I have been to a seal rookery. There are several along the California coast. Great series of pictures. They really are handsome birds. It always seems strange to see the Herons up in the trees. Wonderful pictures. Marvelous photos! Egrets and herons are so interesting to view. All your egrets are great, Eileen! Fantastic. I'm envious that you can get close enough to zoom in on the chicks like that. The rookeries with nests/trees and such around here are always far off on an unapproachable island. Lucky you. What amazing places you get to see. Thank you. Now I have seen it too. WOW! Wonderful. Enjoyed seeing them. Really super nice to see these different herons :-) In Netherlands you only the blue, the purple and white egret. Sometimes a vagrant as cattle egret. Eileen wonderful. Gorgeous photos of two birds I also shared this week! Hope you are having a wonderful weekend! Hello, thank you for visiting my blog. I always appreciate your comments. BTW, Anonymous comments unless a name is included will not be published. Also, some comments with links will be deleted. According to blogger rules I must share this info. Fabric Everywhere, by the metre!!! Or Three Bags Full!!! Nature Notes (#417)~Earthworms: A Garden’s Friend of Foe? That depends. No Awards, please! Thanks for thinking of me! 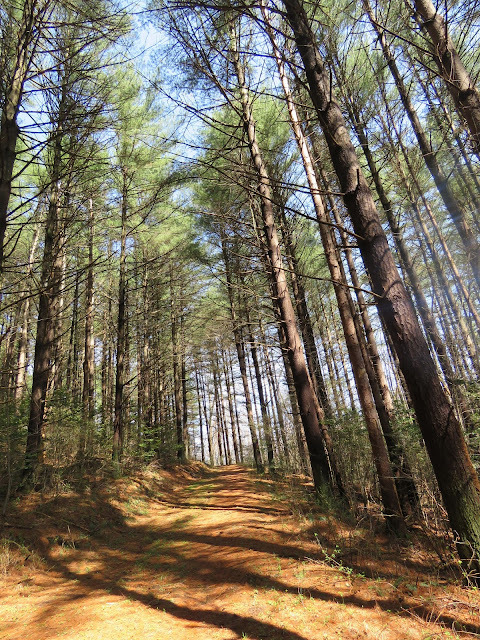 "Sometimes I do get to places just when God's ready to have somebody click the shutter."